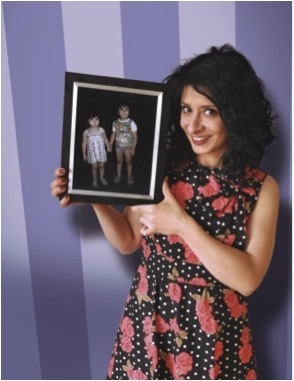 Comedian, best-selling author, star of two series of BBC Radio 4’s Shappi Talk and 2010 British Comedy Award nominee, Shappi Khorsandi is back by popular demand this spring with her highly acclaimed show ‘Me and My Brother In Our Pants, Holding Hands’. It’s been a great 18 months for Shappi. Her 2010 Edinburgh show The Moon On A Stick completely sold out, as did her subsequent UK tours in 2010 and 2011 including a 10 night run at the Soho Theatre. In 2010 Shappi also had the honour of being nominated at the prestigious British Comedy Awards in the Best Female Comic category up against fellow nominee’s Jo Brand and Sarah Millican. Shappi has also notched up numerous high profile television appearances including; Live At The Apollo (BBC ONE), Channel 4’s Comedy Gala At The O2 (Channel 4), Michael McIntyre’s Comedy Roadshow (BBC ONE), Graham Norton Show (BBC ONE), Friday Night With Jonathan Ross (BBC ONE), Have I Got News For You (BBC ONE) and her own Comedy Store Special for Comedy Central. As a sought after cultural commentator, Iranian born Shappi has also appeared on Question Time (BBC ONE) and Woman’s Hour (BBC Radio 4) as well as penning columns for several national newspapers including the Guardian and New Statesman. Shappi’s critically acclaimed autobiographical book A Beginners Guide To Acting English (Ebury Press) was released on 2nd July 2009 (paperback – 1st April 2010).